It's hard to believe we're already in March and that St. Patrick's Day is coming up! I like celebrating it with the kids and trying to come up with new ideas for snacks and fun. Last year, the leprechaun hid pot shaped bags with candy in them, as well as little pots with treats under the table. 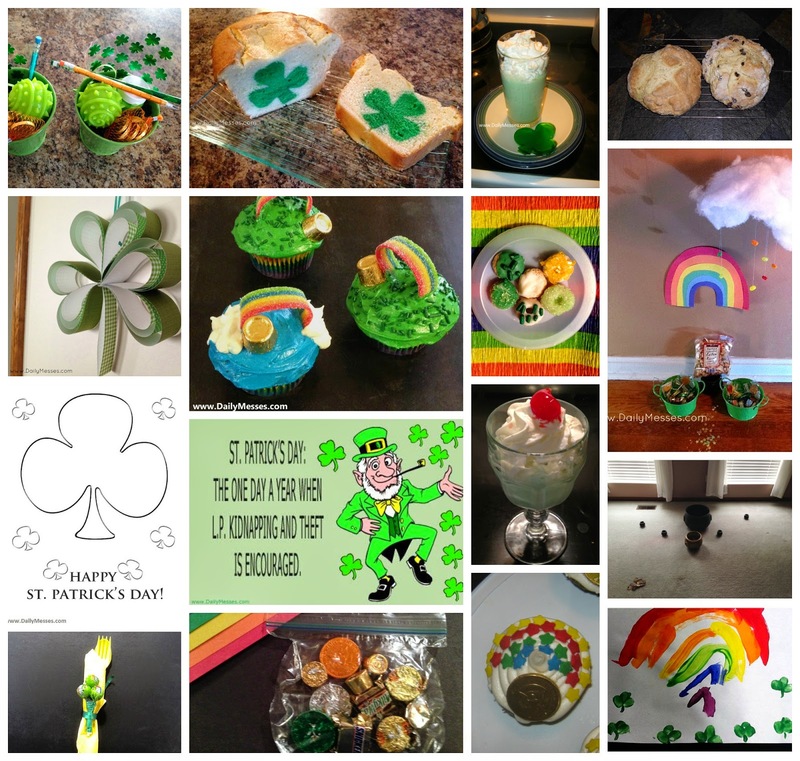 Previously, the leprechaun made a rainbow on the wall, complete with a batting cloud and jelly bean rain drops. I have no idea yet what I will...I mean the leprechaun ...will do this year. If you want any ideas, just click on the post links for the directions or the recipes!